Rento is a global exchange platform for businesses and individuals that allows you to rent assets. Unlike competitors in the market, Rentoprovides rental of any object to any person, instead of just focusing on one market (cars, apartments). In addition, Rento uses blockchain technologyto introduce a robust economy through smartcontracts that enforce lease terms and that the parties can count on each other to deliver and return a product or service. Rentoseeks to embed the exchange economy in the daily lives of people around the world, reducing waste in the economy and allowing more people to use a variety of services and products without having to assume the cost of owning each type of item they use. The concept of sharing economics is based on the full use of economic resources. And that is exactly what Rento is aiming for . 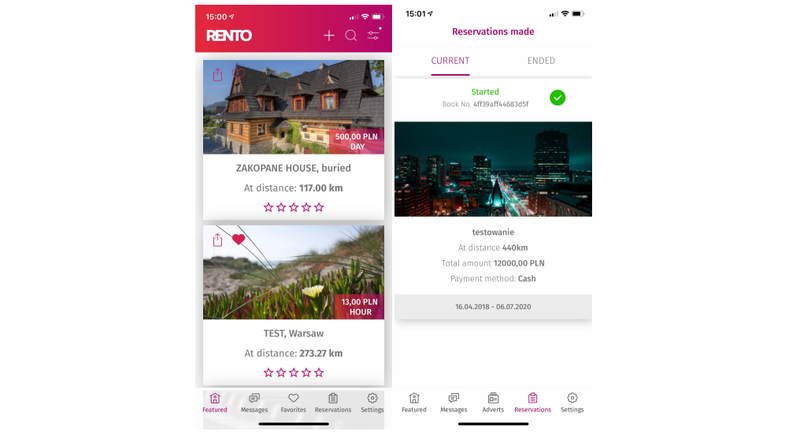 Rento offers a mobile app (and a web platform) that allows users to list their unused assets for rent or share on their platform. Each Rento listing includes key aspects of an asset or resource, such as the rental price, availability schedule, image or video of the actual item, specifications and conditions specific to the asset. 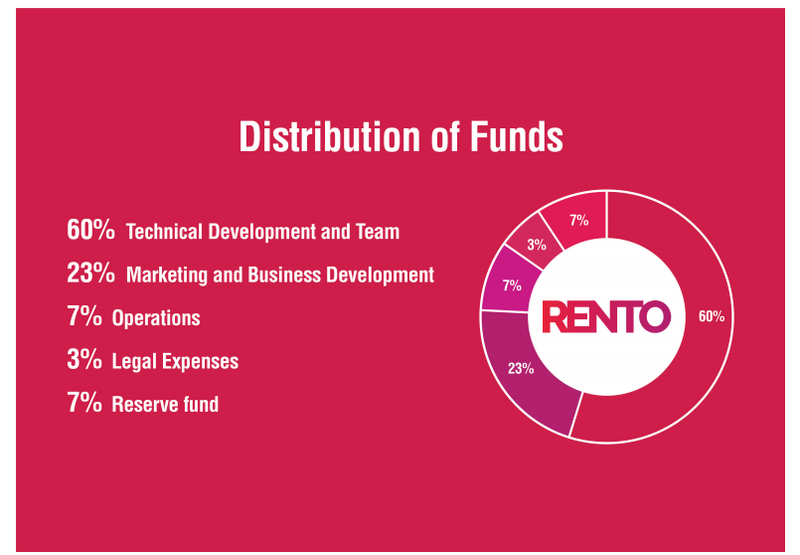 The company Rento offers several segments of products and services, focusing primarily on enterprises and service providers to complete the platform a large supply of available resources to ensure that the platform will initially be enough resources for consumers to find her attractive. Rento will be launched with primary listing segments, such as household items, lawn mowers or snow blowers, at the expense of more commercial offers, such as joint offices and conference rooms, construction equipment, parking spaces and even human resources. In addition to developing an exchange platform, Rento plans to create at least one brick and mortar rental store as proof of the concept for sharing an ecosystem. The purpose of Rentois to expand the sharing economy to untouched industries. She is likely to face stiff competition from established players. AirBnB, working in the field of rental / lease of real estate, and Turo, working in the field of renting a personal car, are among the main competitors. However, these competitors are limited both in their range and in the range of items offered. For example. AirBnB is only focused on renting space for recreation, while many people also need temporary office space. Turo is not valid in many geographic regions. In addition, none of them serves businesses. Throughout the business there are many types of equipment that can be shared between people but there is no way for people to access other people’s equipment, and there is no sure way to test the credibility of systems. From agriculture to construction to office equipment, the potential for an exchange economy is enormous. Rento Token is intended for release on servers with cryptocurrencies. Although the initial Rento token is based on ERC 20, the company plans to move Rento to the Proof-of-Authority Blockchain . Although all transactions in the Rento application will be based on intelligent contracts, and it will be possible to make transactions and security deposits in all currencies (crypto and fiat), smart contracts and transactions will be charged only in Rento tokens . There is currently no Rento token market , and it is possible that such a market may not arise or be sufficiently liquid in the future due to various circumstances, including, among other things, the limited ability to transfer the rights granted by the token. Accordingly, users will not be able to dispose of their Rento token or to exercise or dispose of any rights.